Some fixes (more coming soon), but also a couple of important additions to the new activation system -- including 'offline' activation -- details below. menu, and select that file. If all goes well, you will see an 'Activation Complete' dialog shortly thereafter. on the Numerology menu and pick "Force Re-Activate...". That will reset all activation related prefs and re-run the Demo dialog. 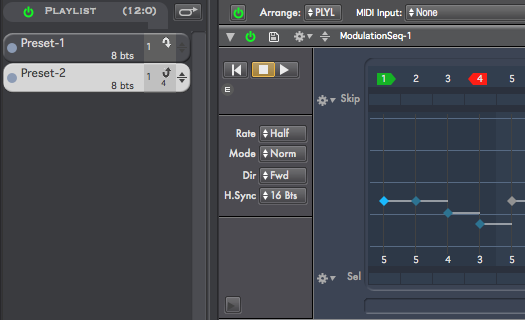 - MonoNote: Fixed an issue generating MIDI Note C-2. - SampleKit: Fixes a couple cases where file sample rates were not adjusted-for correctly. Last edited by jim; 02-02-2016 at 11:23 AM. with N4 164 the UI was freezing several times today after I tried to import a stack from project and had to cancel it because I selected the wrong project. It still plays if it were not stopped before but the UI is no more to use. In this state even quit does not work any more, had to force quit N4 with a system tool. If you select a stack at this dialog and import no problems, just if you hit cancel there. In the former versions from 161 and below this problem does not exist. I am always looking for the right stack in several projects before it is found. I am working in this way so this bug must have come with one of the newer versions. As you knew I jumped from 161 to 164. If I have 1 preset with view set to ChPress lane, then switch to another preset click to view the velocity lane then switch back to the other preset step 1 of the ChPress lane is now mirroring step 1 of other presets velocity lane. On updating I'm getting Activation Error (error code: 0). Error 0 means Numerology can't reach the internet -- this sometimes happens even on Mac's with an internet connection -- I haven't sorted out why yet. Use the offline activation as described in the release notes at the top of this thread. 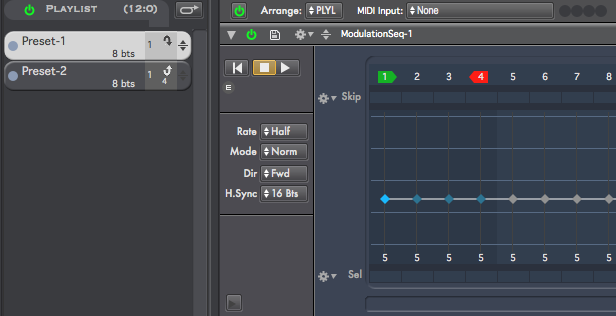 I'm just messing about and I've got this set up, when it switches to the 2nd preset it is sounding as if it's starting from the 4th step even though it is displaying the first step. Once it reaches step 3 it rights itself. I'll give it a look. Any reason why you have hard sync on here? Just in case you read this here before you read my mail from yesterday. Please send me the data for re-activate for my Numerology copy.